Building Alexa into a streaming box lays bare the limits of voice control. Shortly after setting up Amazon’s Fire TV Cube streaming box, I temporarily lost the remote control. In theory, this shouldn’t have been a problem. Amazon says its $120 Fire TV Cube is primarily a hands-free device that you can control with Alexa voice commands, and I knew Alexa would at least let me turn on the TV, control the volume, and start watching video in apps like Amazon Prime Video and PlayStation Vue without needing the remote. Still, it didn’t take long with my Fire TV Cube review unit to uncover voice control’s many blind spots. While the hardware does a fine job of recognizing voice commands, Alexa often fails at searching for content, is inconsistent at controlling video playback, and doesn’t yet work with a large number of apps. Voice control might make remote controls unnecessary in the future, but the Fire TV Cube isn’t ready to deliver on that promise today. Internally, the Fire TV Cube is similar to the pendant-shaped Fire TV that Amazon released last fall. It’s powered by the same 1.5GHz quad-core processor and 2GB of RAM, but it has twice the internal storage at 16GB. 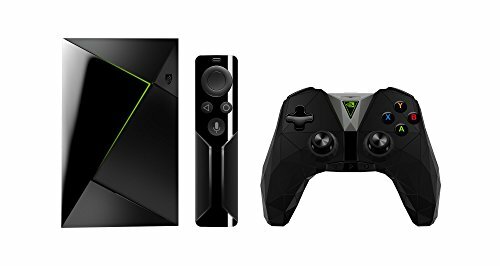 Both devices also support 4K HDR video playback, Dolby Atmos surround sound, Bluetooth 4.2 (mainly for game controllers and headphones), and 802.11ac Wi-Fi. 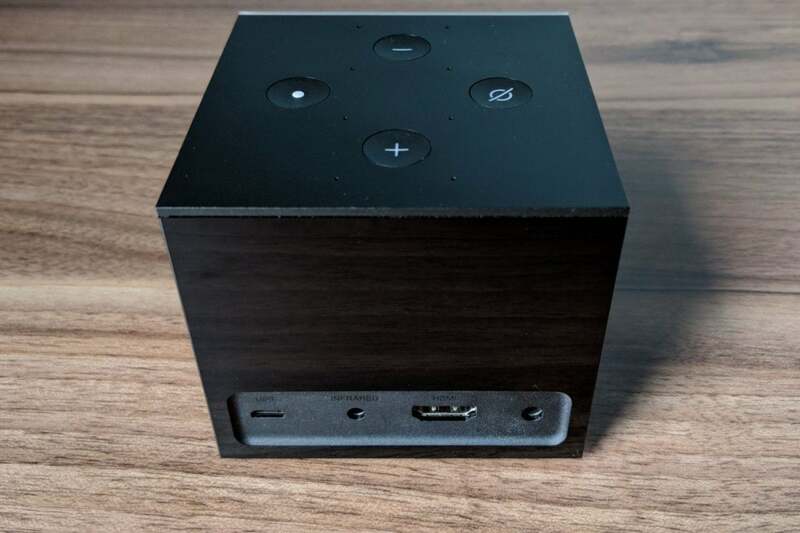 It’s a bit disappointing that Amazon didn’t use the Fire TV Cube as an opportunity to deliver a faster, more feature-packed streaming box to take on the likes of Apple TV 4K and Nvidia Shield TV. 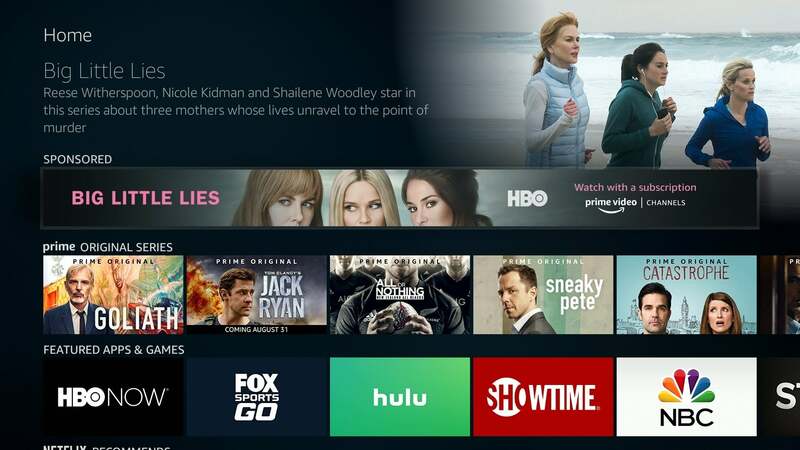 Unlike the former, the Fire TV Cube doesn’t support Dolby Vision HDR, which can optimize colors and contrast on a per-frame basis for TVs that support the format. And unlike the latter, the Cube doesn’t have full-sized USB ports for hard drives, TV tuners, and other accessories. The Fire TV Cube does have a Micro-USB port for its included ethernet adapter and external storage, though the latter will likely require an adapter or a different cable from the one that comes with your hard drive. And like the Fire TV pendant, the Cube actually has less processing power than the second-generation Fire TV from 2015, so it doesn’t feel quite as responsive when scrolling through menus or apps. The Fire TV Cube offers a Micro-USB port for external storage and its included ethernet adapter, but there’s no full-sized port. Then again, abstaining from those bells and whistles helps Amazon undercut the Apple TV 4K and Shield TV while focusing on hands-free voice controls as a distinguishing feature. The Fire TV Cube is essentially an Echo Dot speaker grafted onto a streaming-video box, with a far-field microphone array and a low-quality built-in speaker that can respond to voice commands when the TV is off. If you have a Fire TV device and an Echo device already, they’ll support many of the same voice commands as the Fire TV Cube, but having everything in one package has some advantages. For one thing, the Fire TV Cube has a built-in infrared blaster, so you can use Alexa voice commands to also control TV volume, A/V receivers, soundbars, and other IR-equipped devices. If you have pay TV service from a major cable, satellite, or telco provider, Alexa can even switch to those set-top boxes and tune to live TV channels. The Fire TV Cube comes with an IR extender cable, in case you’re keeping those boxes in an enclosed entertainment center. The Fire TV Cube is also better-optimized for Alexa than other Fire TV devices, letting you pick from search results by voice, and showing on-screen hints about what you can do with voice commands. And when the TV is on, it can act like a giant Echo Show, displaying the forecast when you ask for the weather, the box score when you ask for sports results, and cover art when you listen to music. There is one major limitation on the music front, however; the Fire TV Cube can’t sync music playback with other Echo devices for multi-room audio. If you have a compatible security camera (i.e., one for which the manufacturer has published an Alexa skill), you can ask Alexa to show the camera’s video feed. And you can of course use your voice to sift through product listings on Amazon’s website. 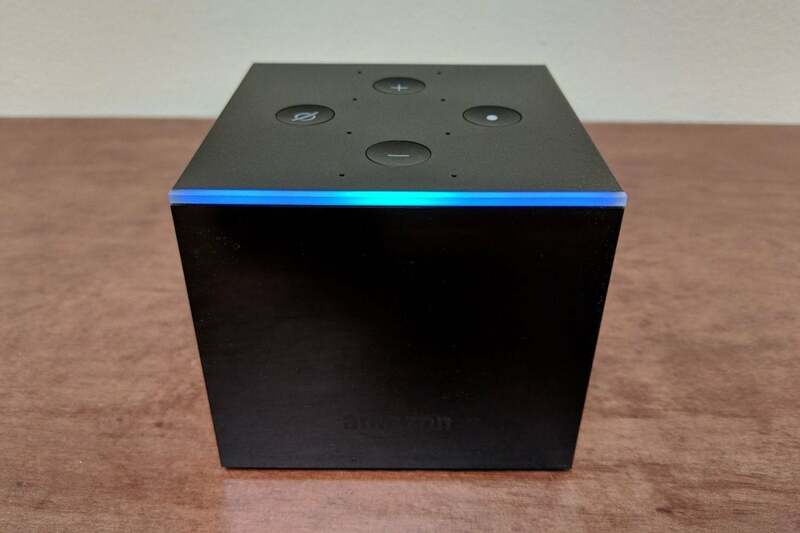 The Cube’s visual feedback makes Alexa responses more useful. The Fire TV Cube also recognizes when it should route audio through the TV or its own speakers. If the TV is off, and you ask for some basic information—such as the weather or a sports score—the Fire TV Cube will use its own speakers. For music and videos, the Cube will switch over to the TV or sound system and attempt to turn the TV on. From a technical standpoint, it all works quite well, which is why Alexa itself feels like such a letdown. When Alexa understands and executes on a voice command, it’s among the most satisfying interactions you’ll have with your television. And Amazon’s assistant is at its best when you’re requesting specific shows and TV channels. Ask Alexa to watch Sneaky Pete, for instance, and the Fire TV Cube will pick up from wherever you left off in the series. Tell Alexa to tune to ESPN on PlayStation Vue, and the Fire TV will announce what’s on, launch the app, and switch to the appropriate channel. Coolness factor aside, using voice commands in these scenarios is faster and easier than opening an app and digging through menus. Outside those bounds, using Alexa can quickly become more trouble than it’s worth. Here’s the worst example: I asked Alexa to show me some recent comedy movies on Amazon Prime. In return, I was shown Thor: Ragnarok (not a comedy, and not on Prime), Brooklyn Nine-Nine (not a movie, and also not on Prime), Suits (neither a comedy nor a movie), The Kissing Booth (not on Prime), and The Goldbergs en Español (no comment). 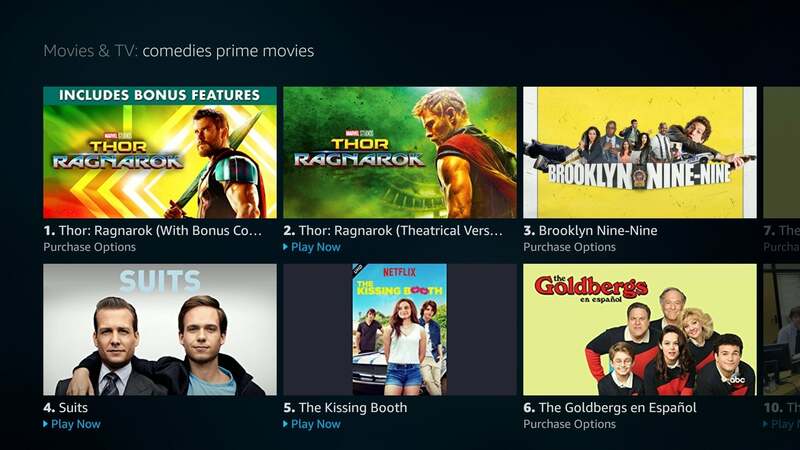 Amazon says that Alexa doesn’t yet understand “movies” or “Prime” as search modifiers, but even without those terms, Alexa’s genre search results can be comically inaccurate. Searching for “sci-fi,” for instance, yielded Westworld, The Handmaid’s Tale, Marvel’s Cloak and Dagger, Thor: Ragnarok (again), and The Flash. I also wished Alexa could tell me what’s on TV right now, but all it can do is rattle off prime-time listings for specific channels. Alexa is easily confused by genre searches. 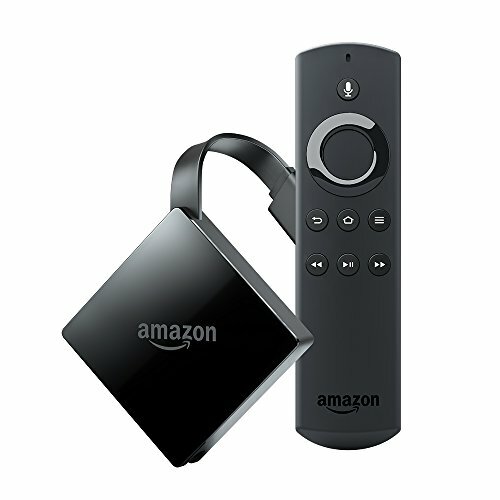 Although the Fire TV has thousands of apps and supports most major streaming services, Alexa voice controls only work with 15 of them: NBC, NBC News, Bravo Now, CBS, Sony Crackle, Freeform, Hulu, NBC, Showtime, Showtime Anytime, STARZ Play, ESPN, and PlayStation Vue, Netflix, Fox Now. Within those apps, you can launch specific videos, control video playback, and search. Playback controls can also be inconsistent, again requiring you to fall back on the remote control. Some apps that don’t specifically support Alexa still allow you to pause and play by voice, but others don’t. And even in apps that are Alexa-enabled, my playback commands failed to work on several occasions. All of these annoyances add up to what feels like an incomplete product. It’s only a little more useful than last year’s Fire TV pendant, but it shares some the same shortcomings. 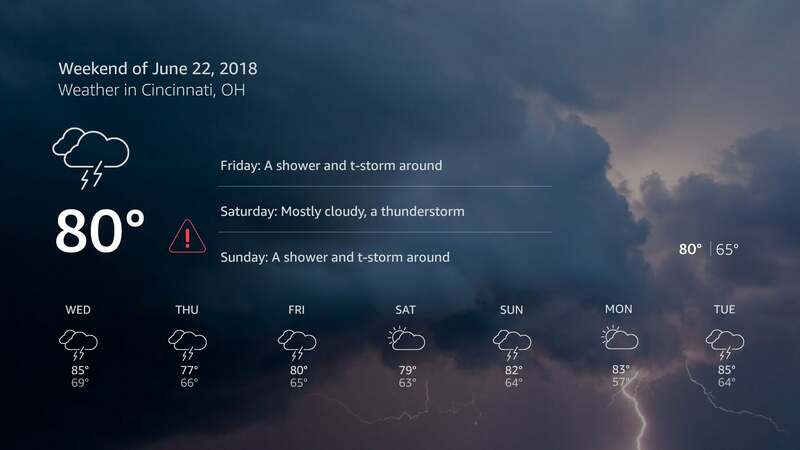 It still has intrusive banner ads on every menu page, along with an overly chaotic home screen that mashes useful video suggestions together with row after row of promotional content. The Fire TV Cube still has big banner ads running through each of its menu pages. Worst of all, Amazon still isn’t including volume-control buttons on its Fire TV remote controls. Being able to adjust volume by voice helps, but it still interrupts video playback and only works in predefined increments, so adjusting the volume by a large amount requires multiple voice commands. TV remote controls are now table stakes on every streaming box and stick in the $50-and-up price range; its inexcusable that Amazon omitted those controls on a new premium Fire TV product in 2018. 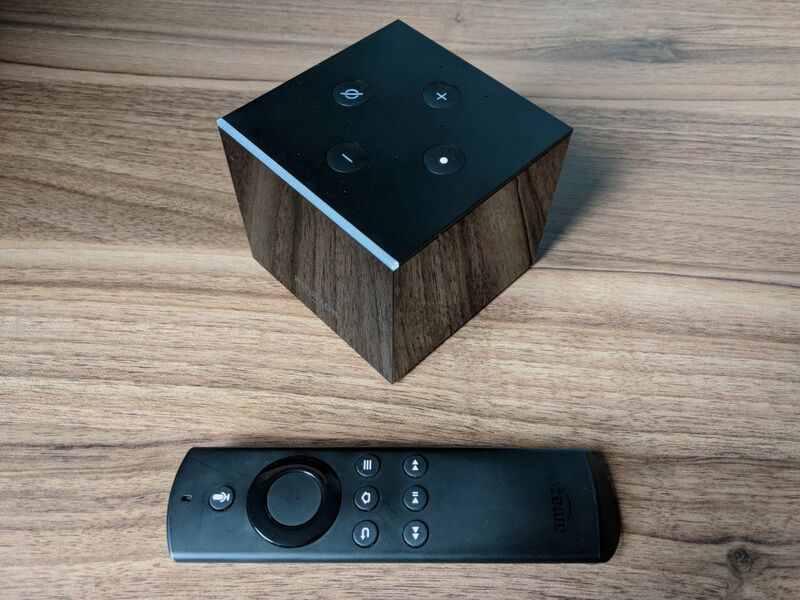 Like other Fire TV devices, the Cube’s remote has no built-in volume control. Amazon likes to say that its products get better over time, pointing to how devices like the Echo are considerably smarter now than they were back in 2014. It seems inevitable that Alexa’s TV skills will improve, and even today, the Fire TV Cube is capable of occasional greatness. But for now, the Fire TV Cube still depends on a remote—one that’s markedly worse than others in its price range—to navigate an interface that’s still a bit too cluttered. The Fire TV Cube may be a breakthrough streaming-TV player, but it missed an opportunity to be the best. The Fire TV Cube wants to replace your remote with voice commands, but Alexa isn't up for the challenge.